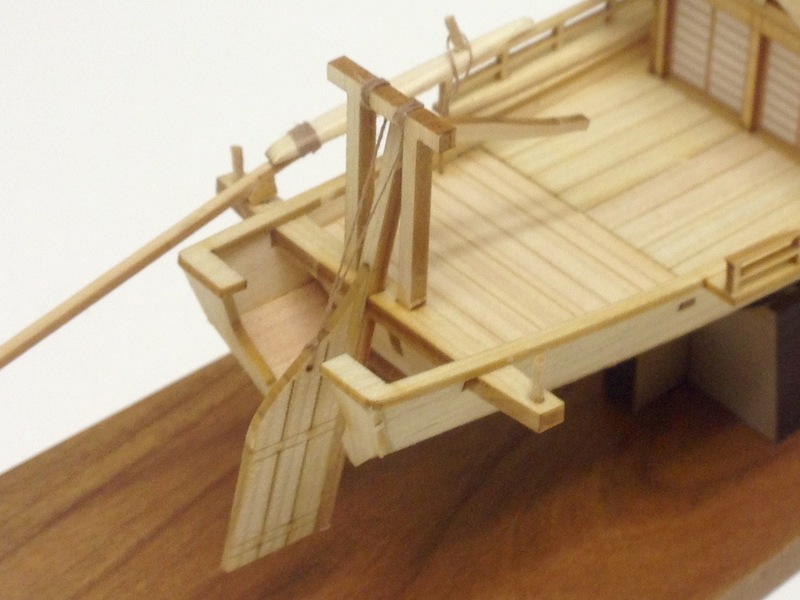 Woody Joe’s Mini-Yakatabune kit, is one of three mini-kits released in the past year of traditional Japanese Edo period boats. 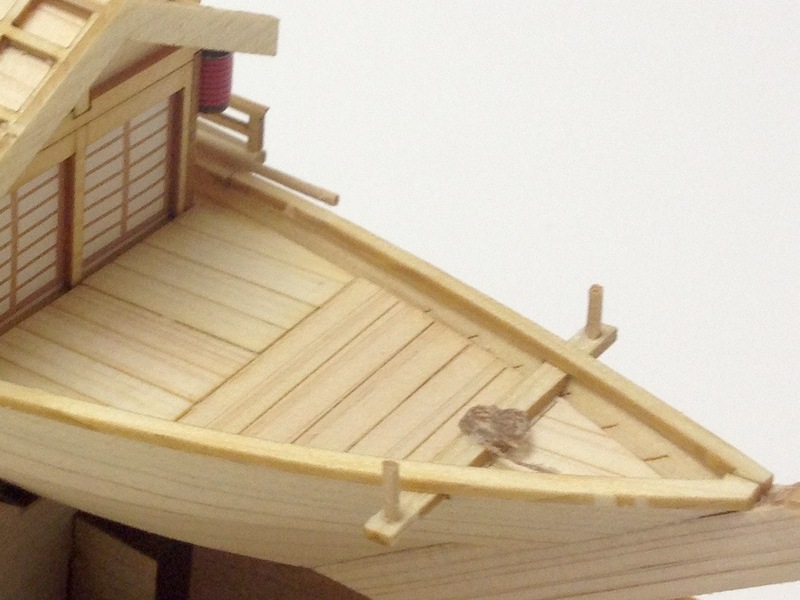 It’s a quick-build project that’s fun to work on and results in a very nice model of a culturally significant Japanese watercraft. A little while back, I wrote a post about working on some projects while out of town (What Does a Ship Modeling Fool Do When Out of Town). One of those projects was the Mini-Yakatabune kit from Woody Joe of Japan. Well, I added some finishing touches and finished up the model recently. These were mostly little modifications to the kit, which I though added a little realism. Keeping in mind the Mini-Yakatabune kit is designed to be easy to build, there are some small details that were left off in the design. Mostly, these are rigging lines that aren’t really necessary, but certainly add realism to the final model. In addition, to make construction easier, in place of very thin and fragile dowels, the kit provides brass rod. Being used to working with very tiny, fragile parts, I replaced the brass rod with thin wooden dowels that I reduced down to size using a jeweler’s drawplate. Drawplate from Byrnes Model Machines. Close up showing the dowels in place of brass rod. Small rope coil at bow. I ended up with a long piece of dowel left over and so I just trimmed it to a reasonable length and used it to represent a bamboo pole used to help push the boat along shallow water and at the shore. The rigging was a little trickier since it’s such a small model, but mostly, the issue is the delicate nature of the model. First off, I coiled up a tiny piece of line and laid it down at the bow. It’s pretty small, so it doesn’t look like much more than a blob. 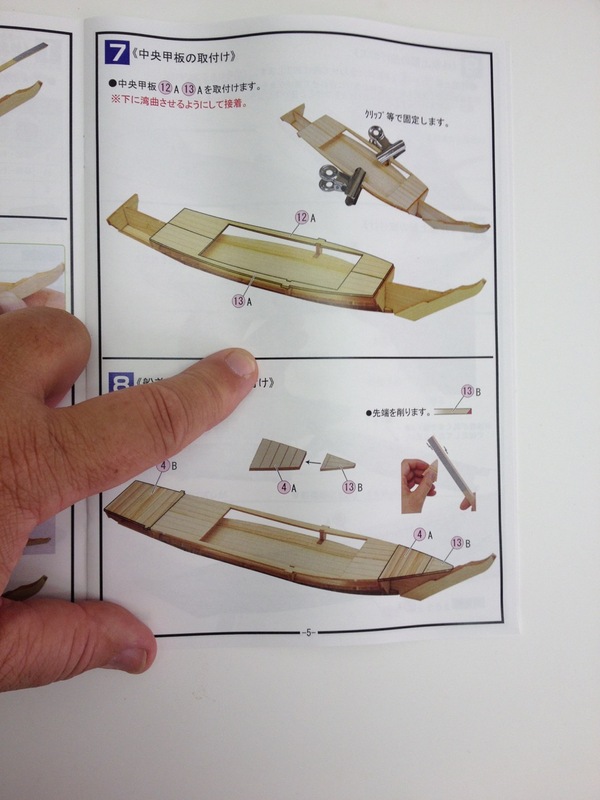 From building the larger Yakatabune model, I was aware of a line used for raising the rudder. As was pointed out to me by another ship modeler who built his kit before I built mine, there is a hole in the rudder, but the instructions show no reason for it. The line then tied at this hole and the ends of the line reach up and tie around the support beam above it. Again from the larger Woody Joe kits I was aware that in early days, the two pieces of the oar, called a “Ro” in Japanese, had a piece of rope wrapped around the joint. That was a pretty easy addition. The tougher addition was a loop of line tied down to the deck, that went over the handle of the oar. This required me to fashion a loop in the end of a line inserted into a small hole that I drilled into the deck. The loop then slips over the handle that sticks up out of the oar. To reinforce the placing of the oar, I inserted a small piece of brass wire into the oar, which fits down into a small hole I drilled into the oar’s support beam. Finally, I figured this tiny model is going to get knocked over on someone’s shelf, so I first glues some thin brass rods into the base and drill corresponding holes in the bottom of the model. This keeps the model removable from the base, but it sits securely on the base. I then decided to cut a thin sheet of cherry wood to mount the whole thing on. 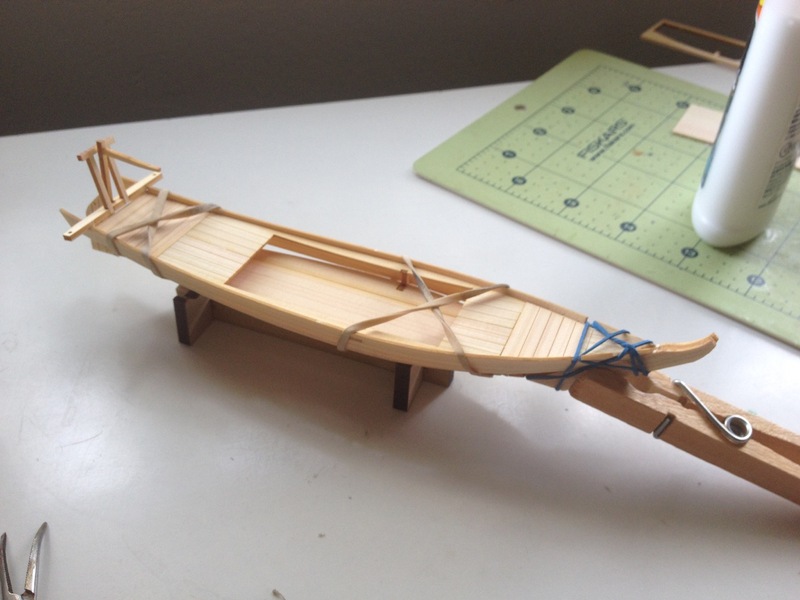 Somehow, I managed to lose the silhouette figure that’s supposed to stand at the oar handle, but the model looks pretty complete as is and I think it will be a very appreciated gift. As I mentioned before, the basic model kit was essentially completed in a single day. Added details took me a little longer to complete. Overall, this was a really fun kit to build and I found the results to be really nice. I even went so far as to buy two more kits to make into gifts. 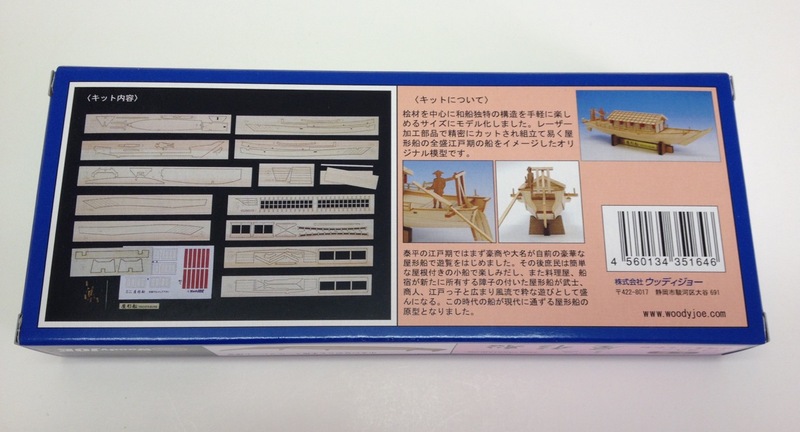 Those interested in building the kit, remember that the instructions are in Japanese only. The instructions are very well illustrated and the kit goes together very easily, so the language shouldn’t be an issue. Just remember that any wood that you need to bend needs to be dampened first. Also, there are a lot of very delicate laser-cut parts. Cut away through the tabs that hold the pieces in the sheets, but make sure to remove the knife blade from the sheet before trying to remove the wood from the sheet. Don’t skip steps. And, since these kits are only available from Japan, don’t expect to find/get replacement parts. So, be extra careful not to break or lose anything! 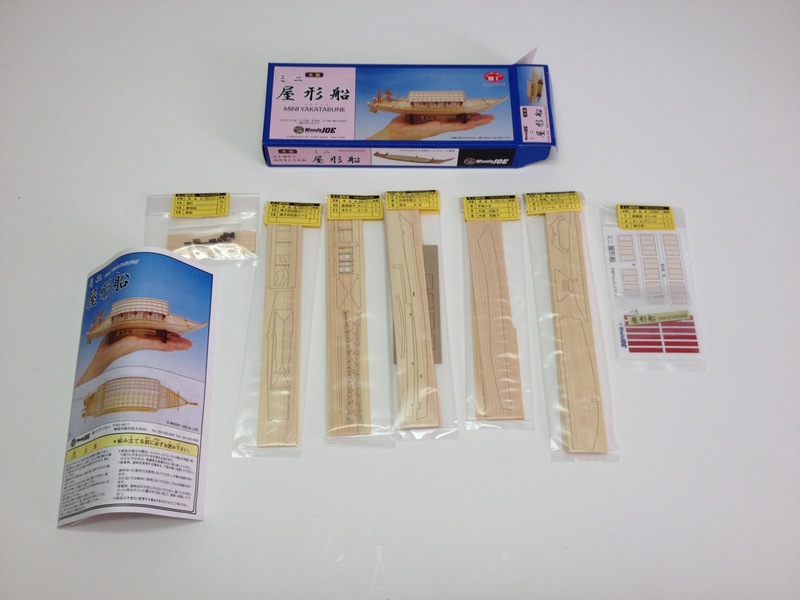 This entry was posted in Kit Reviews, Mini-Yakatabune Build, Ship Model Build Logs, Ship Modeling News, Woody Joe and tagged easy to build, Mini-kit, mini-yakatabune, model boat kit, Woody Joe, Yakatabune, Zootoyz on September 20, 2015 by catopower. I’m a bit behind the curve on reporting on this latest mini-kit from Woody Joe. 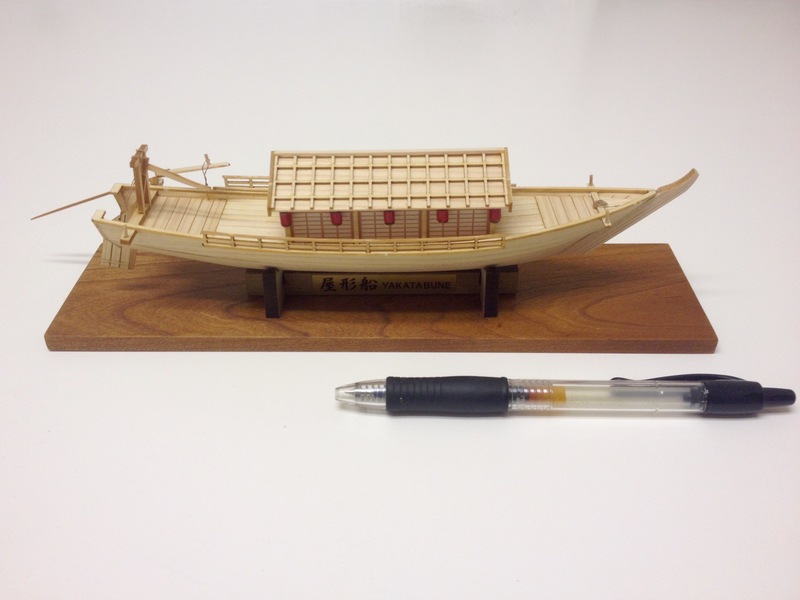 This kit, released in May, joins the two other traditional Japanese boat mini-kits, the Hobikisen and the Utasebune. 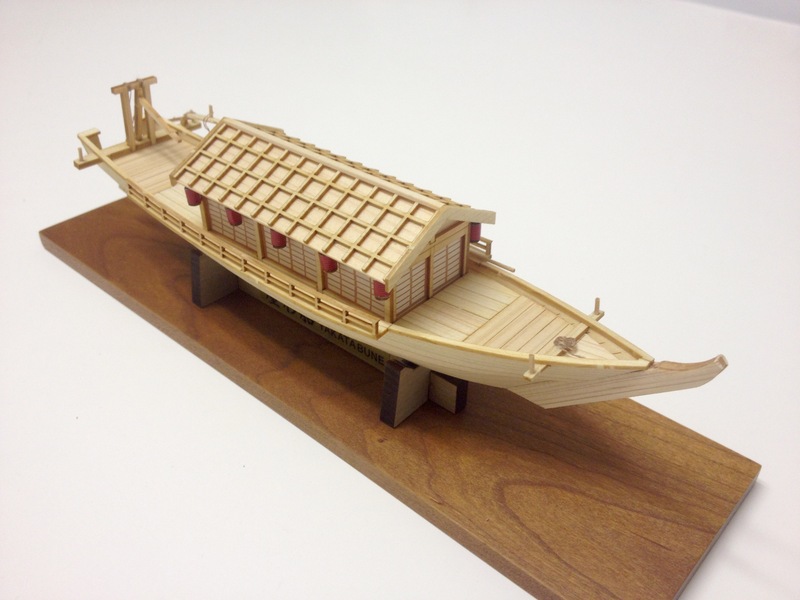 The Yakatabune (yah-kah-tah-boo-ney) is an Edo period pleasure boat that become a common site on lakes and rivers in the later years of pre-modern Japan. The appearance of these boats coincided with the rise of the merchant class and the accompanying increase in leisure time and disposable income among commoners. The Yakatabune and boatmen would be hired for a day or an evening for taking in the sights at cherry blossom time to view evening fireworks, or maybe just to drink tea or sake and enjoy good company. 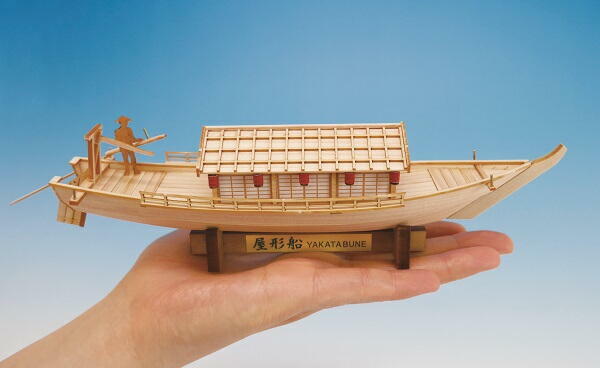 Woody Joe already produces a large, 1/24-scale kit of a Yakatabune, but this one is small and quick to build and costs less that one-third as much as the larger kit. 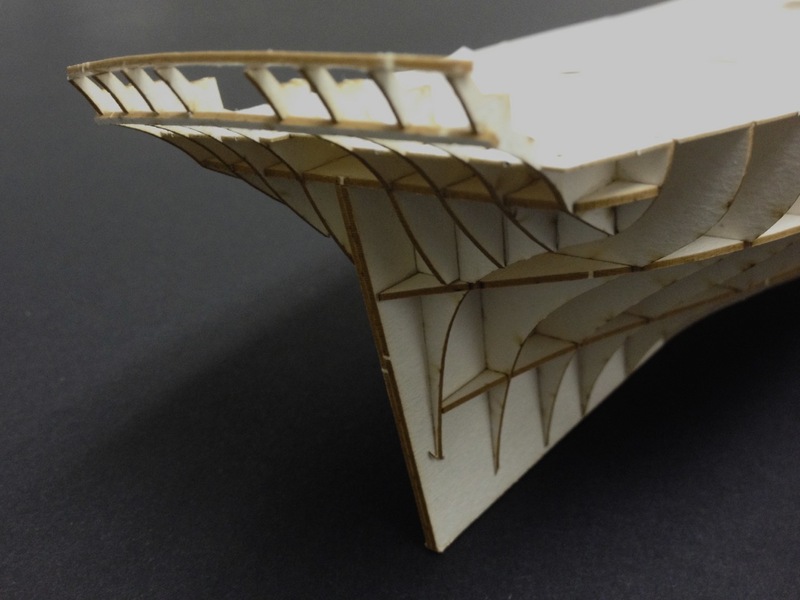 The kit features a large number of laser-cut parts. 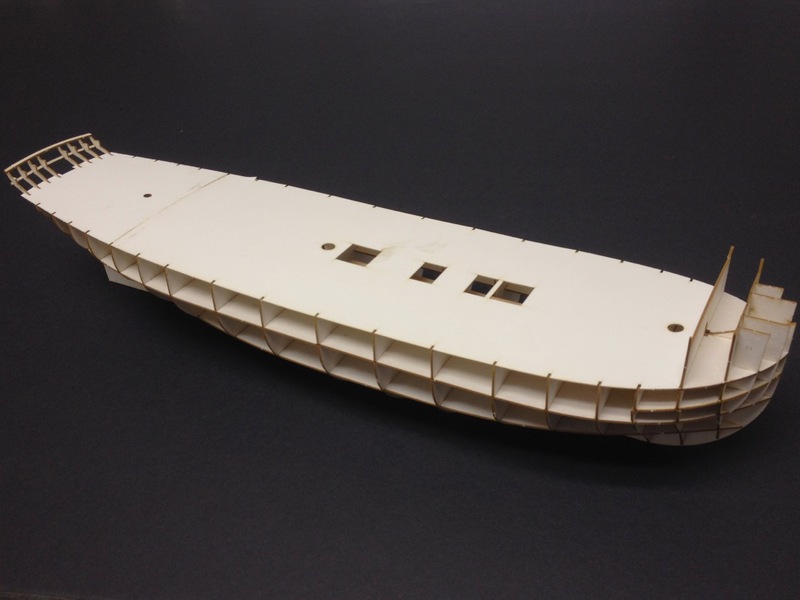 The design of the hull is nearly identical to the other mini-kits of the series, but the decking, rudder, and deckhouse means there is about 50% more wood in this kit. As with the others, the wood provided is Hinoki (hee-noh-key), a variety of Japanese cypress that is extremely aromatic, and it easy to work with. Parts are always well packaged and well labeled in Woody Joe kits. Japanese language instructions are extremely easy to follow, thanks to the well illustrated, 12-page, step-by-step guide. 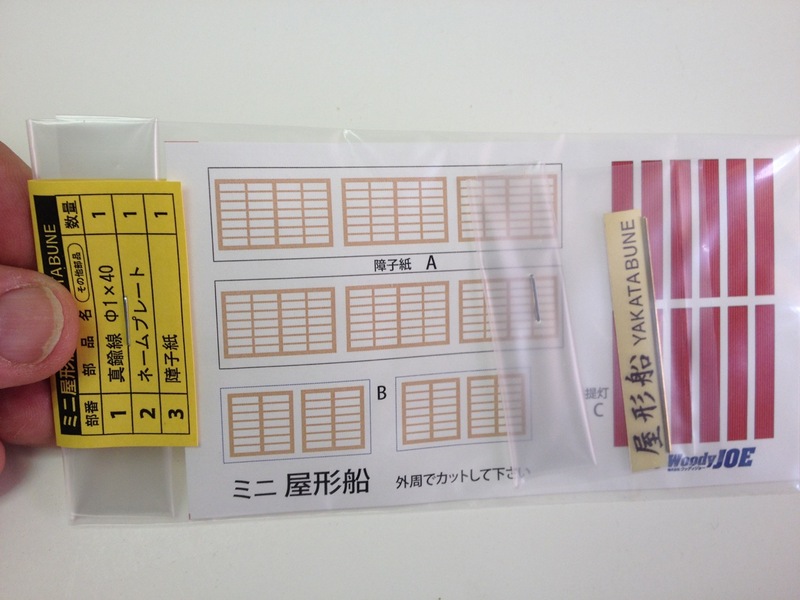 Laser-cut sheets are clearly numbered, and each part has its own identifier to make locating parts simple. Color printed paper is used to cover the shoji screen walls of the deck house and for the lanterns hanging along the side. 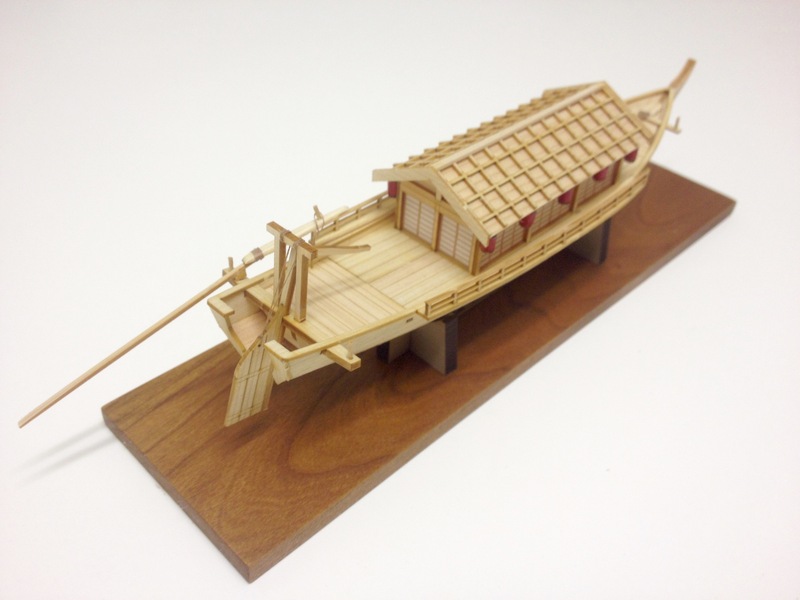 Having been building the larger scale Yakatabune kit, it’s clear that this is a simplified model. But, that’s the whole point here. This is a model that can easily be built over a weekend, and results in something that looks nice on the shelf. The kit is solidly packed into its box, which measures about 9″ x 3-1/2″ x 1-1/4″. The model itself measures about 8-1/4″ long when complete and includes a nice base and brass tape nameplate. 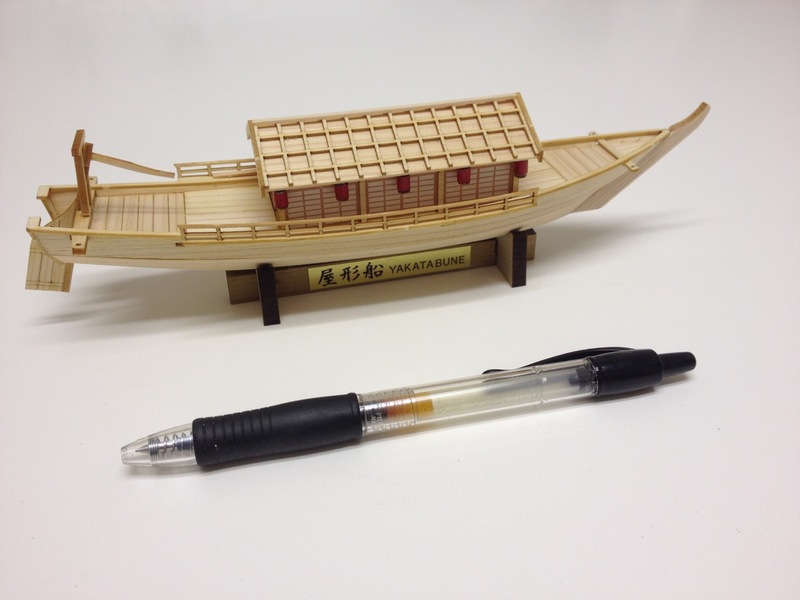 At 5,500 yen, the Mini Yakatabune is the most expensive of the three traditional boat mini-kits. At today’s exchange rate, that works out to about $45. As always, I recommend buying the kit from Zootoyz.jp. Prices are good, shipping is extremely fast, and service is great. For those who want to add a little detail, if you’ve built the larger kit, the details you might add are pretty obvious. 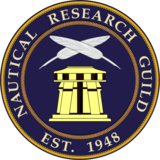 There are the beams that protrude from the hull under the side railing, there are the rope wrappings around the sculling oars, the lifting rope on the rudder, and copper caps. But, I think it’s a better kit to be built as-is. A nice simple weekend project that would make a nice gift either as a kit or a completed model. 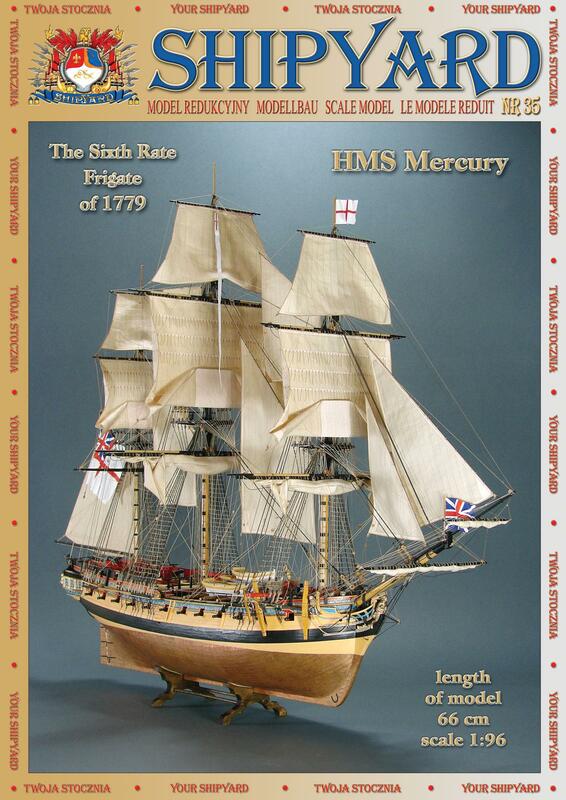 This entry was posted in Kit Reviews, Mini-Yakatabune Build, Ship Model Build Logs, Ship Modeling News, Woody Joe and tagged Japanese Boat, Mini-kit, Wasen, Woody Joe, Yakatabune, Zootoyz on July 27, 2015 by catopower.